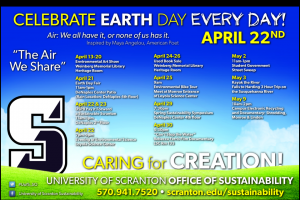 In addition to the Environmental Art show, which will remain up through Monday, April 20, there are many other Earth Day events on campus throughout the month. Be sure to check them out! 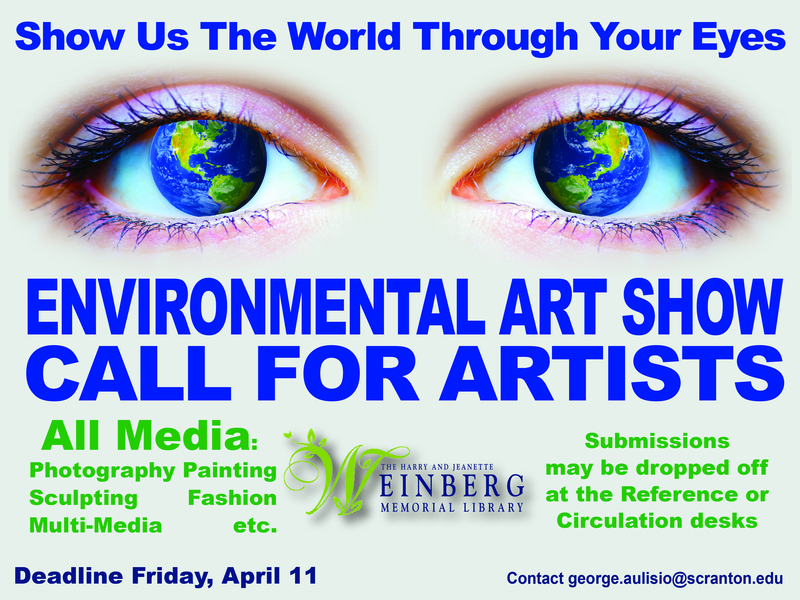 Final Call for Environmentally Themed Art! 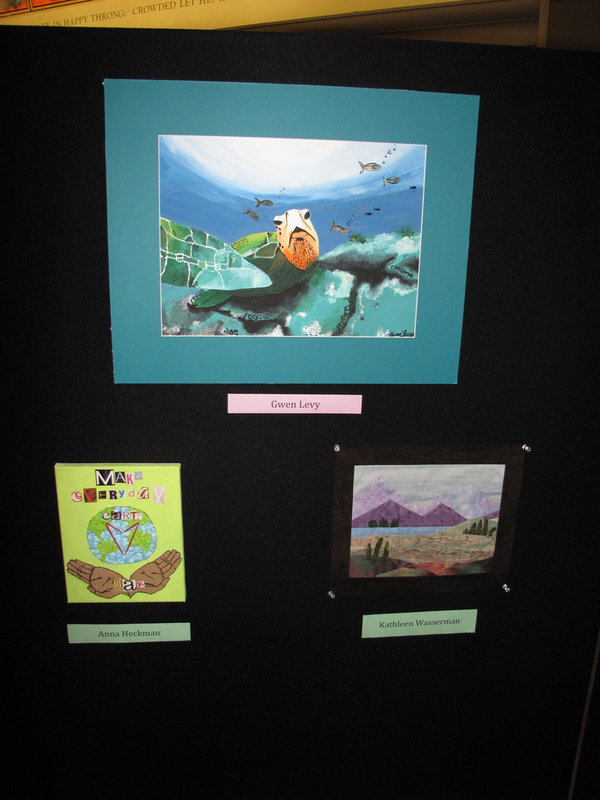 Comments Off on Final Call for Environmentally Themed Art! 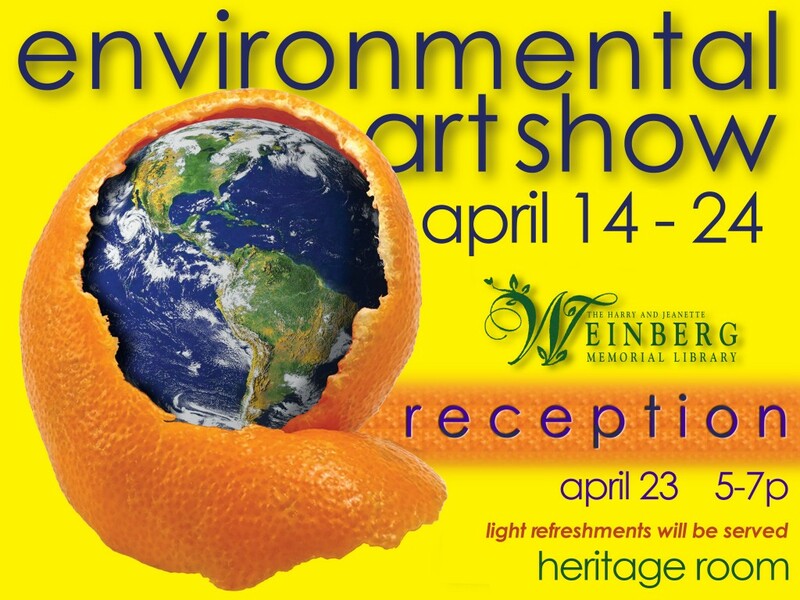 Please remember to bring your environmentally themed artwork to the library by or before Friday, April 11 for inclusion in the 4th annual Environmental Art Show! 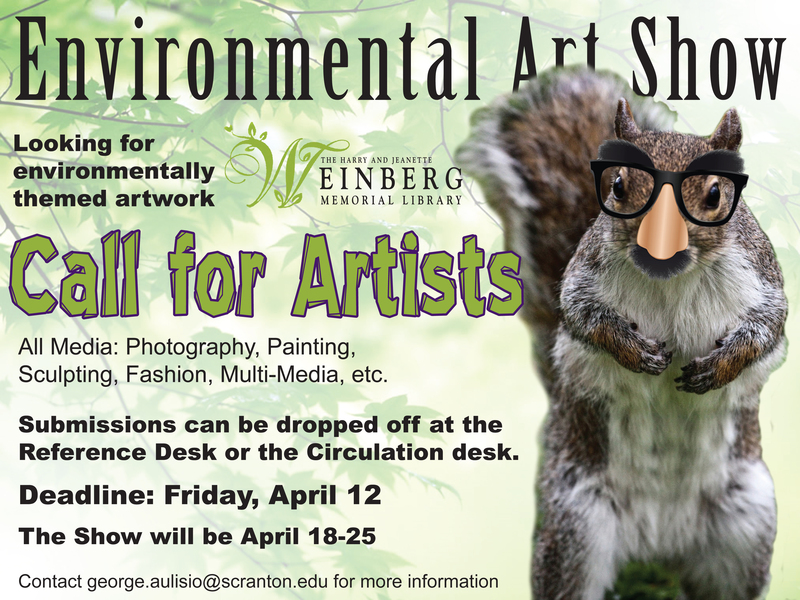 The deadline to submit works of art for the Environmental Art Show has been extended to Wednesday April 17. 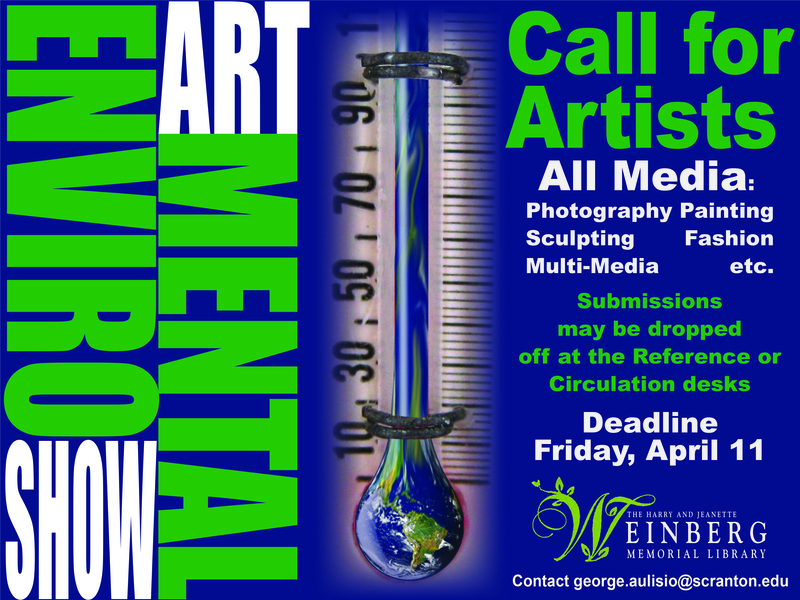 We are looking for all types of art, including photography, paintings, 3D Objects, repurposed/recycled items, and so on. Please bring your works of art to the Library’s Reference Desk on the 2nd floor. 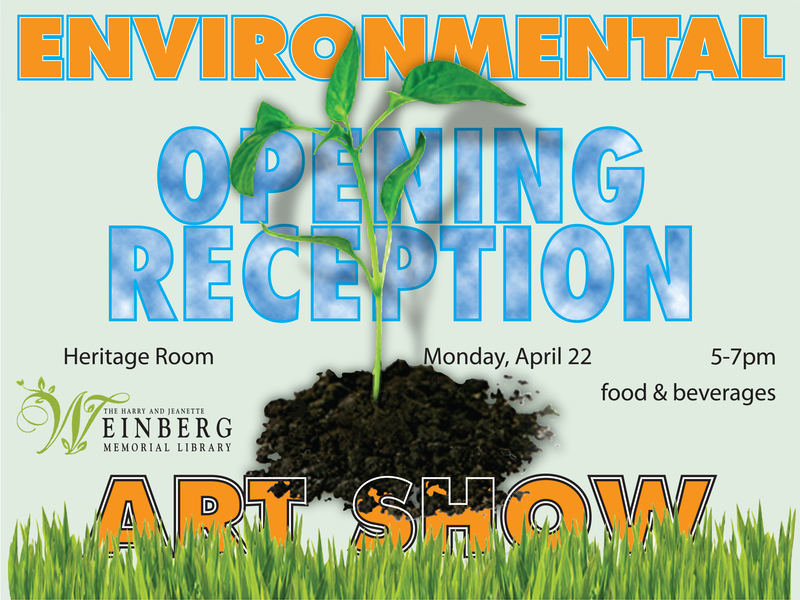 The 3rd Annual Environmental Art Show will run from Thursday, April 18 to Thursday, April 25. 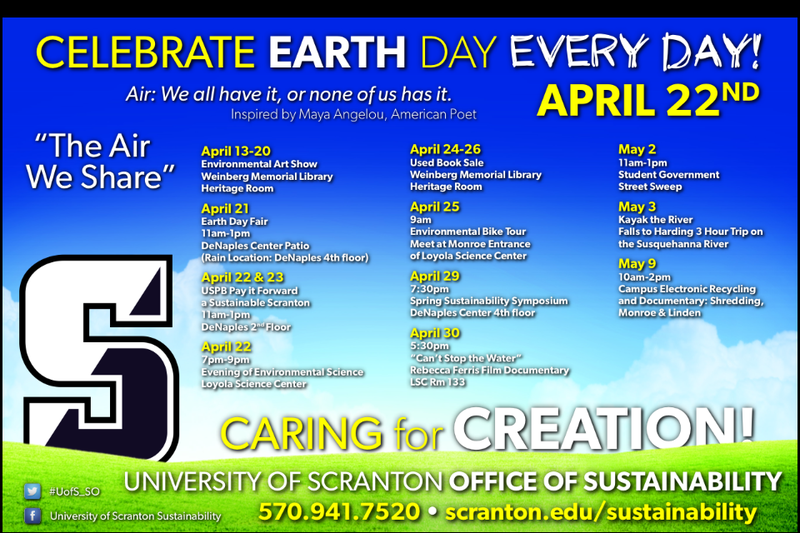 There will be a reception to meet the artists on Earth Day, Monday, April 22 from 5-7 PM in the Heritage Room of the library. 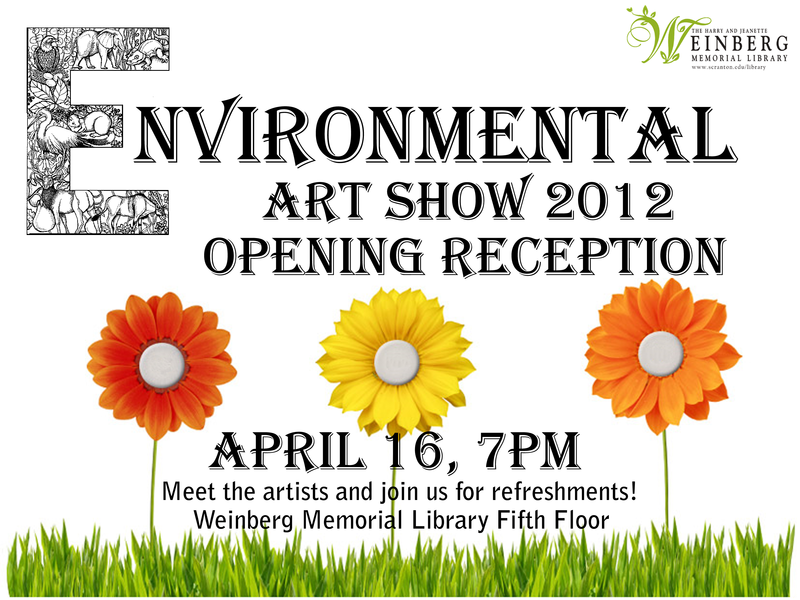 The library will be hosting the 3rd annual Environmental Art Show in April. The purpose of the Environmental Art Show is to promote the natural beauty of our environment and the ideals of sustainability through art. The art show is comprised entirely of student, staff, and faculty submissions, so please consider contributing artwork that fits into the following loosely defined criteria. Almost any type of environmentally themed art is accepted, this includes Paintings, Photographs, Digital Media, Mixed Media, Fashion, 3D Objects, etc. 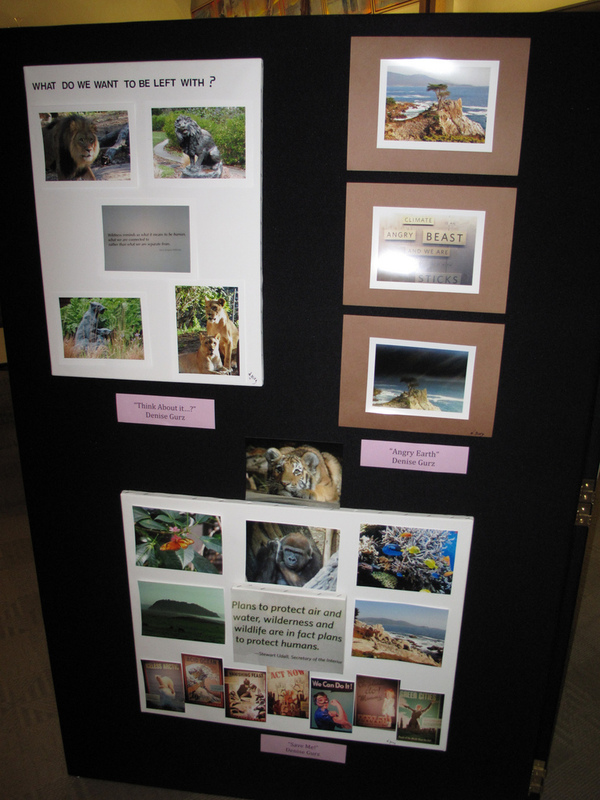 Examples of environmentally themed art include images depicting human effects on the environment, nature scenes, animals, environmental messages, recycled or re-purposed goods, and so on. The deadline for submissions is set for Friday, April 12, 2013. There will be an opening night reception scheduled open to the public and your family. All works of art are returned after the exhibit comes down at the end of April.